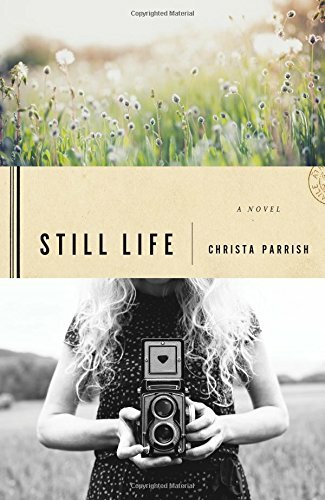 Layers are pulled back and people – the gritty, uncertain, wistful, scared, and loving parts that make up humanity – are exposed in Christa Parrish’s novel, Still Life. Following two women in vastly different modes of life, Still Life chronicles the journey each take, spiraling into one another and reshaping the course of their lives. Parrish articulates the story from various perspectives, adding situational depth to the telling. The pain of one soul becomes the temptation of another and the loss of a third. Imbuing each viewpoint with an honest self-interest, Parrish shows every main character fighting individual demons - ultimately shown to be strikingly similar. Also of interest are the fringe characters in each storyline. Part catalyst, part recorder, these characters reflect the changes wrought along the path. Facing the consequences of their choices, for good and ill, these women express an altered, but no less influential, coming of age story. Gripping and thought provoking, Parrish has crafted a story well worth engaging. The characters are recognizable, yet authentic. The story, incredible enough to capture emotions, is also believable. Parrish has exposed humanity in its glory and grime, through the use of accessible characters and a well-written account any reader can enjoy.